More than 150 people gathered at the Hawthorn Suites in Champaign, IL for the 2013 Champaign County EDC Annual Meeting on Thursday, November 21, 2013. 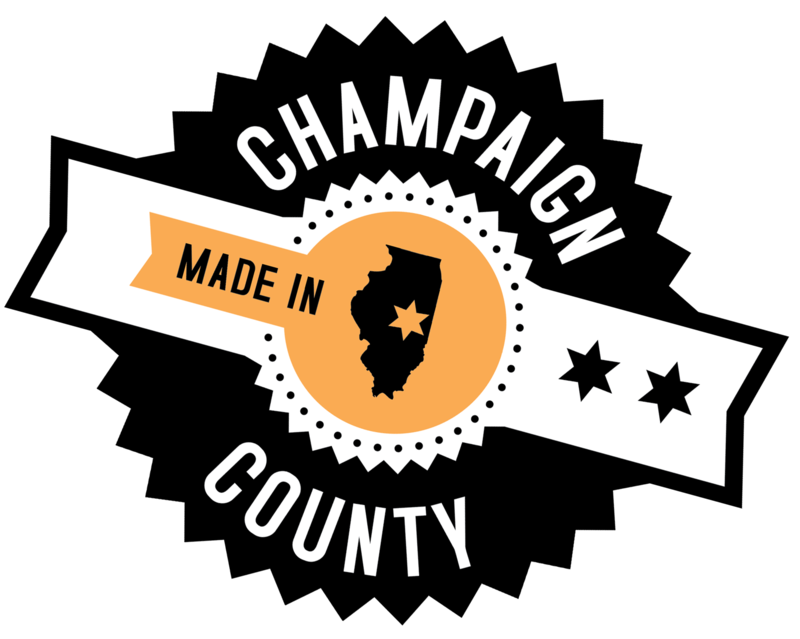 The meeting highlighted the organization’s FY13 activities, showcased products and innovation Made in Champaign County (#MadeInCC), and revealed the organization’s new Strategic Plan. Products were on display from the following Champaign County companies: Advanced Filtration Systems, Inc. (AFSI), Bump Nonprofit Design Studio, Columbia Street Roastery, Conair Corporation, Dart Container Corporation, Data Comm for Business, Inc., Eagle Wings Industries, Easton-Bell Sports, Flex-N-Gate, Herff Jones, IntelliWheels, Litania Sports Group, Oso Technologies, Ragle Dental Laboratory, Silgan White Cap Americas, Taylor Studios, Triptych Brewing, and Volition. Some of the products on display included bumpers from Flex-N-Gate, oil filers from AFSI, a bicycle helmet from Easton-Bell Sports, video games from Volition, and a dinosaur made by Taylor Studios. The Champaign County Economic Development Corporation acts through public-private partnerships to continually grow the local economy by supporting local business and driving expansion and attraction. The Champaign County EDC has set the following two-year goals (as revealed in their new Strategic Plan): provide support to create 3,000 new jobs, attract $225 million in new private investment, assist companies to grow payroll by $132 million (this will ultimately increase per capita pay to $26,000), and increase private sector influence in EDC by doubling the number of private investors. To read the full plan, download a copy below. To view photos from the event, please visit the Champaign County EDC’s Facebook album.